Visit Rimini with your own private guide, and discover the places that tourists rarely see. 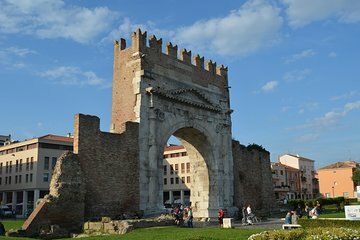 On a walking tour of the city, you’ll head into Rimini’s historic heart. Piece together the city’s Roman history, stroll through a piazza where the 1973 'Amarcord' movie was filmed, and visit the historic fisherman village of San Giuliano. You’ll hear all the local history as you go.